Renovations on the Don Veller Seminole Golf Course, owned and operated by Florida State University, will begin Monday, Aug. 13. The course remains open for play through Sunday, Aug. 12. FSU has partnered with Nicklaus Design to redesign the par-73 course, which will be closed through Sept. 30, 2019. The driving range will also close during the renovations. Nicklaus Design, a global golf course design firm founded by golf legend Jack Nicklaus, has designed nearly 420 courses open for play in 39 states and 46 countries. By partnering with the group, the Don Veller Seminole Golf Course will be transformed into the first Jack Nicklaus Legacy Course in North America. Nicklaus’ oldest son, Jack Nicklaus II, will continue the design legacy of his father. Father and son will collaborate on all design-related issues and act as promotional spokesmen for the golf course. Tallahassee-based Childers Construction Co. will oversee the $8 million project. “Nicklaus Design has created a course that will be one of the nation’s best, further enhancing the experience of FSU golfers and the broader golf community alike,” said Kyle Clark, vice president for Finance and Administration. 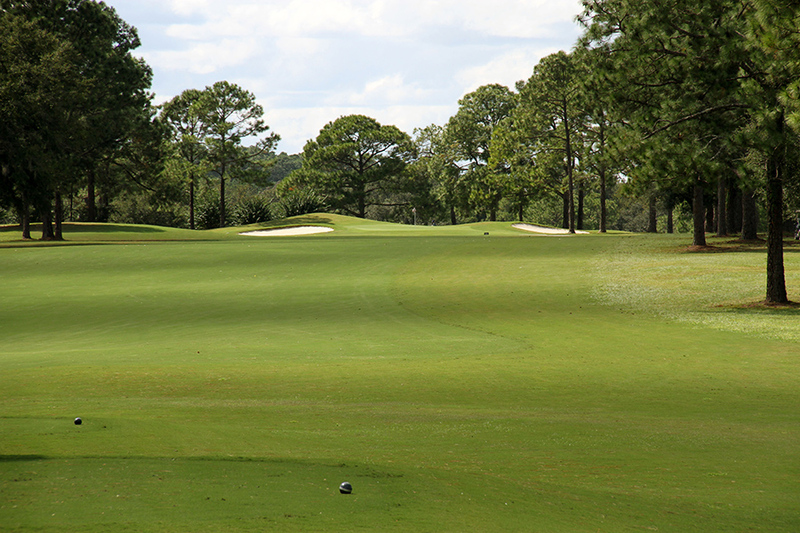 Built in 1962 and last redesigned in 2004, the Don Veller Seminole Golf Course is among the nation’s top facilities in collegiate golf and offers a challenging 18-hole championship course and a practice facility for Florida State’s student-athletes. The course also serves the university’s Global Club Management and Leadership program within FSU’s Dedman School of Hospitality. The Seminole Golf Course, located in southwest Tallahassee, is open to the public as well as FSU students, faculty and staff. Amenities include the Renegade Grill, a state-of-the-art clubhouse, a fully stocked golf pro shop and on-site PGA-certified staff who can assist players of all ages and abilities. The course is named for former Florida State golf and football coach Don Veller. After serving as head football coach for five seasons, Veller became Seminole golf coach, serving in that capacity on three different occasions (1953-1958, 1966-1967 and 1974-1983) and amassing a 78-23 dual meet record. Veller died in 2006.